Recently we posted about 5 features in a hiking backpack we do not want. Over the weekend we were able to visit our local Mountain Designs store. It is our city’s only “pure” hiking goods store and we have been buying gear there for years. We trust the owners and staff. They are people who go hiking and climbing. They have adventures and use the gear they sell. It is like our second home where we can swap yarns about recent trips, or get advice, or borrow stuff sometimes. We looked at a lot of packs. We played around with a lot of different packs. In the end we easily decided on one brand – One Planet. In fact, we have decided on the Strezlecki from One Planet. Why you might ask? Really simple strapping and compression system. Look at the photo. How clean and unpretentious does it look? REALLY strong #10 YKK zippers, with big handles. These zippers are tough and the sewing to hold them there solid. Not the lightest at around 3kg but strong and durable. We want this to be the last pack we buy. We want it to last. The strength and soundness of this pack promises years of hard work and gives us confidence that it will weather anything we throw at it. But wait…..there’s more ……above and beyond the original five criteria. We believe the harness is the most important part of a backpack. Without a strong, comfortable harness, you might as well buy a suitcase. We now know there are about six different hip belt sizes and three different back lengths available. As One Planet states, this creates precise control over the relationship between back length, shoulder straps and hip belt. Or, in other words, a fancy way of saying we will make it fit you, no matter what! We were a bit confused about some of the information that was available on-line and in the brochure, (we must be a bit thick here at “Our Hiking Blog” – the brochure and website are fantastic, it’s just that we did not understand…..) and decided to telephone One Planet. Lee was on the phones and was, in one word, fantastic. If her assistance was any gauge of the quality of the product and service from One Planet then I believe we are on a winner. She knew her stuff. She was the first entry to the company and had all information either in her head or online. Very impressive. Also impressive was the length One Planet are prepared to go to custom build their packs..but that, my friends is a story for another day. I have a One Planet McMillan pack, and I can’t speak highly enough of it. It has given me many years of outstanding performance. In terms of customer service, last season I pulled the pack out of the garage to discover the day pack was covered in mildew. I emailed One Planet to ask the best way to get it clean, I received a same day response including idiot proof care instructions – unreal. I just purchased the One Planet Styx 2 for my first Overland Track ‘expedition’ in Feb 2010 and can’t believe how easy it is to adjust. I even loaded it with fake weights to test the comfort of the harness and shoulder straps. I’m definitely happy with my purchase. February is a great time to walk the OT. Hope the trip goes really well. I think you converted me Frank. I also own the One Planet Strezlecki! Tough as well as I actually threw mine off a cliff at one stage. Well, I was lowering it to a ledge in the Croajingolong National Park but it decided to keep going. Probably fell 10 metres to rocks but it didn’t miss a beat. Lucky me! I’m wondering why the One Planet WBA was not mentioned here as it better conforms with every one of your 5 requirements. There are only 2 zips – both in the lid. I really wonder about zipped compartments at the bottom. Max size is 65 L cf your Strez at 75, 80 or 85L, but it is built to take 20 to 25kg. The OT can be done with 14kg. 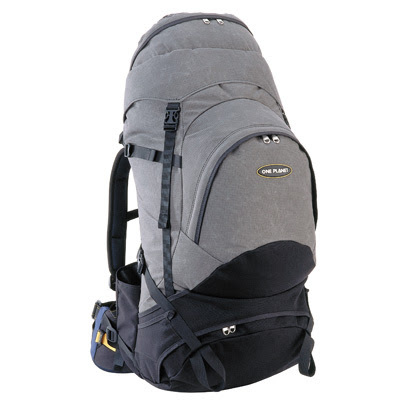 You can also attach the Limpet day pack (and/or side pockets) to increase your carrying capacity by 12L plus. The canvas is a lighter grade 200gsm weight (cf 390gsm Waterloc) – but I recently succumbed to its 2kg weight, simplicity, streamline design and canvas water resistance to replace my venerable 20 year old 65L Mountain Designs Baltoro III. In any case I would use a pack liner in any pack. The 3kg Macmillan (80, 85 and 90L) also better conforms with your 5 requirements, and I was tempted with this, but in the end I decided on low weight (= low volume as well) as a general rule in my gear selections to provide a better experience. Lastly, One Planet make their packs in Australia. This article was written in early 2009 (I think the first comment was on the 4th) The One Planet WBA was not released them so that is why it si not mentioned. Our daughter and here fiance bought one each a few weekg ago. They do look good. (and a heap lighter)She has not used it on a trip yet but will next week I believe! And, yes, you are correct, One Planet do make their packs in Australia bar for one: The Wheelies are the only One Planet packs not made in our Melbourne factory. Made in Vietnam. http://www.oneplanet.com.au/travel/wheelie.html . Sadly (yes sad because of the number of packs we own) we each have one of these too. They are great for travel , if not a bit heavy. p.s. my last pack was a MD one, lasted very well. Cheers and thanks for the great info. After much research looking for a hiking pack I purchased an Aarn Natural Balance. It seems good to me and the Balance Pockets really do help to even some weight out. It is very lightweight compared to most! and the Flo Mo lets most things move naturally.I can confirm that it is waterproof! Did you look at the Aarns? if so what do you think? I have not looked at Aarons. I am a bit of a dinosaur when it comes to packs and pathetic at keeping weight down. 2. plastic film canister for (holding a smidgin of toothpaste)= 6g versus small freezer bag (holding the same amount of toothpaste but doubled over)= <1g (my scales only register down to 1g or more). It doesn't sound like much but I think once I get started I should be able to make considerable gains (or is that losses?). If you're built like my the biggest weight savings can be had by reducing your own body weight. Just wanted to add my comments I have had a One Planet 65L Strezlecki for sooooooo long it was before they were One Planet. In those days they were made by AKing (this name has always proved a laugh on my many trips). I have totally loved this pack over the 20+ years I have used it. In fact the waterproofing has just started to flake away and the strapping is only now softening causing slippage. The pak and I have been through many storms with no extra rain cover and it has never let me down. I have even sat on it and slid down the snow in New Zealand. I am now faced with the horrid task of replacing my much loved pack and have spent the last 12 months looking to replace it was a lighter pack but I keep not buying the other packs and returning to the One Planet web site with a sigh and wondering if my poor old back can move into the next 20+ years with a heavier pack. The review is right for me the best things about this pack is it’s simple design, the fantastic harness, I especially love the water bottle holders at the waist strap, the strong zips and it’s waterproofness. :):):) Jenny – Got to love this pack and it’s Australian!!!!!! 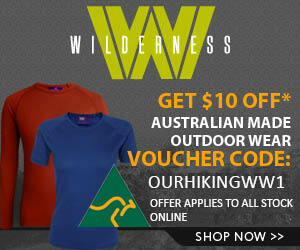 Hi, I’d like to start by saying thank you for such for providing such a great resource for beginner hikers such as myself with this blog and your excellent books (The Overland Track and Food To Go). Finally about to buy my pack but am torn between the Strezlecki and the WBA…what feedback can you provide since your daughter’s trip with the WBA? I’ve heard there are concerns about it’s durability. Will try and post her reply here too. Thanks again, any feedback/suggestion will be greatly appreciated. We actually have the umbra. It’s great! Super light weight, I love the buckles easy to undo with cold hands. Top pocket isn’t such a great size and that’s the only pocket other than the big pocket. I bought the One Planet Tasman as I wanted it for hiking & backpacking, I’m now worried that it maybe too heavy (4kg) compared to others such as the McMillan etc? Thanks for dropping by. How much does the Tasman weight? There can’t be too much difference between the McMillam. Just use it till it wears out then get another one, it will owe you nothing! The Tasman weighs about 1kg more than most bags I’ve seen but it’s so durable! I’ve been looking at purchasing a new pack, and I’ve been considering the Osprey Argon 85L. I realise that this pack does not meet your criteria of having no unnecessary exterior clips and straps, and that it is not Australian made, however apart from that, it looks to me to be a pretty good unit. Thanks for dropping by. I am by no means an “expert” but just wrote down what we were looking for at the time. One Planet (and lots of other manufacturers) have produced a lot of new packs since that article was written. I don’t know about the Osprey Argon 85L. but my daugher just ordered an Ospray Atmos so will be interested to check it out. I had a look at the Ospray site, looks a nice pack! Good luck with it. 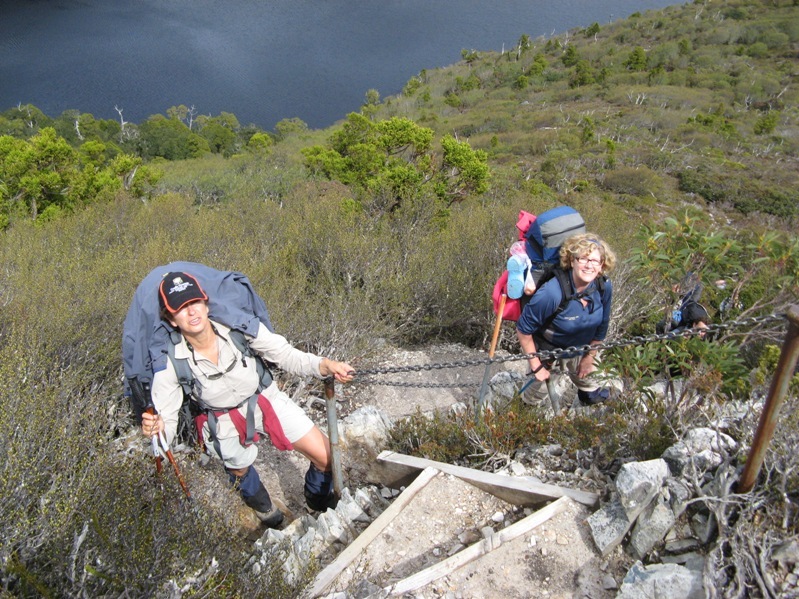 I’m doing the Tassie overland track and the Kokoda Track soon and I was wondering what type or pack your experts would reccommend. 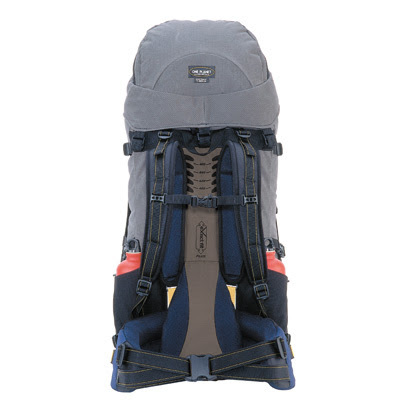 Are hybrid packs acceptable or should i just get a straight out hiking pack? I have never seen this backpack before, is it available in Poland please? Hi, my 16 year old daughter is going to India next year with World Challenge, they leave in November for one month. Which pack would you recommend for her. I believe i have designed and developed the perfect product for back packs, it is an accessory for back packs, i call it the back pack cradle, this product will release the pressure/weight of the shoulders and distribute it to the waist and legs. I tried and tested it and it works like a charm, my problem i am an individual, with the perfect prototype, who can help me take this product to where it belongs. This product will eliminate, shoulder aches, neck aches and spinal problems, from carrying heavy loaded back packs. It is very good for school kids, hikers, mountaineers, travelers and the army. any recommendation will be great, my details are Anwar Essop, email: packadini@gmail.com, tel 0716796928, south africa.